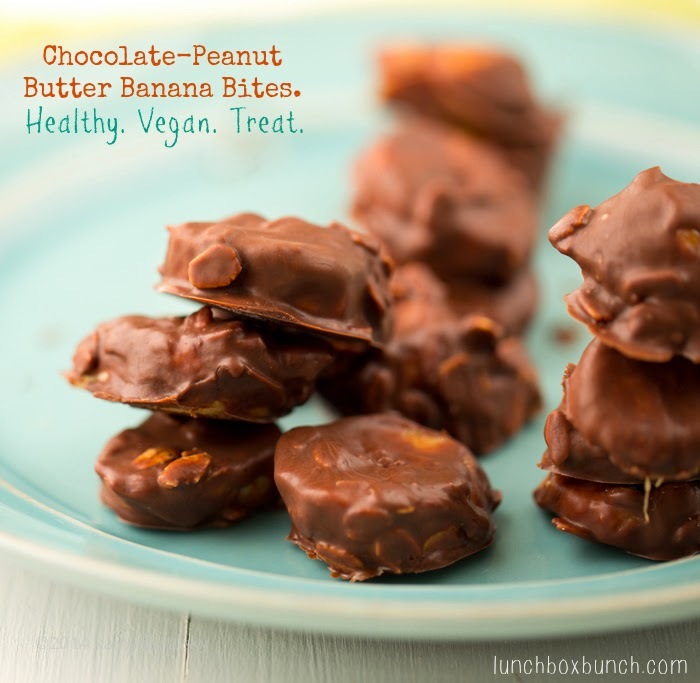 Chocolate-Peanut Butter Banana Bites + 15 Healthy Track Treats! Goodbye pumpkin pie. Hello healthy. January feels like abruptly waking up from a long, fuzzy, jolly dream. Suddenly things are oddly quiet. You find yourself calmly gazing at a hushed scene of freshly fallen snow, shivering bare trees in the distance. Or maybe your harshest winter weather (raises hand) is a brazen beach fog drifting your way. 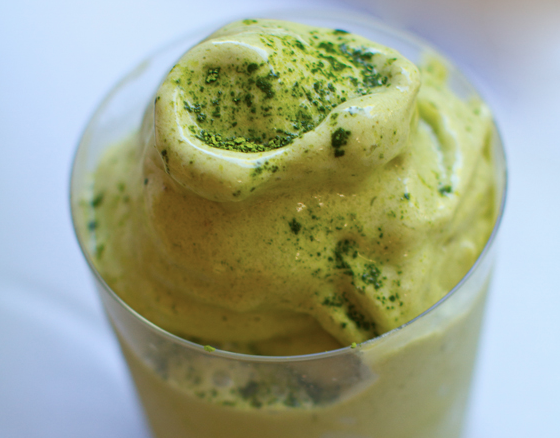 You have swapped out your nog and cocoa for green smoothies, warm lemon water or carrot-ginger juice. That whimsy-filled holiday time is now just a blur or colors, twinkly lights, carols and laughter. Just a clutter of faint memories of you dancing in glowing lights, surrounded by people dressed in fuzzy sweaters, fluffy scarves and sparkly somethings. A hum of holiday music and chatter. Cinnamon sugar, vanilla bean, pumpkin and peppermint aromas tickling your nose. You, smiling and spinning beside a crackling fire, a sugar cookie in one hand, a tall mug of hot cocoa in the other, towering swirls of whip gazing straight up at you. Ah, what a nice dream. But wait, that was like just over a week ago! Just like pulling the plug on your Christmas tree lights, all good things must come to an end. But maybe the REAL fun has only just begun? Green smoothie cheerleaders, gimme a "G!" Healthy 2014. I love this healthy-you-lovefest season. I do not do the new year resolution thing, but I do love the whole idea of reevaluating your current state of wellness. Taking inventory on how you feel, what you are eating, how you are managing stress, what your happiness level is, how your job satisfaction is, how the meaning in your life is crystallizing, how your friendships are faring, how you look, how active your creative life is and then, after a good long ponder .. figuring out where you want to be and how far you are from that wellness vision in your head. So instead of strict rules this January, lets instead call this a month of taking inventory on our wellness. And setting broad goals for the rest of the year. On the road. Most people start on their road to feeling better by giving their diet a makeover. And I know a large number of people want to shed a few pounds after an indulgent holiday season. 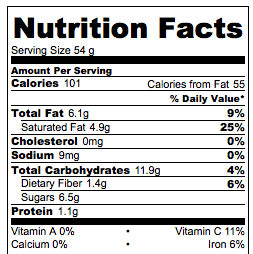 And while I am in favor of being in tune with your nutrition, I am very wary of this thing called dieting. Diets can lead to a fast and furious feeling of deprivation. Not a healthy, happy place to be at all! So I like to find a happy medium. Setting goals, while staying in tune to the needs of my body. If I want a cookie, dammit I will have a cookie. Or two. I understand the temptation to deprive yourself for what may seem like a short period of time to lose weight at a fast pace. But experts say that weight that is lost at a slow rate tends to stay off more permanently. Those quickie losses often creep right back on. Today's post.. So to keep you from the dry and dreary desert of deprivation, today's post offers fifteen healthy treat recipes. 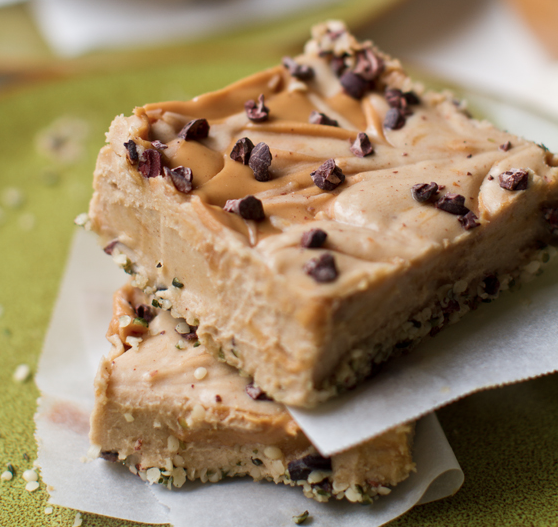 Sweet treats to keep your healthy eating plans on track. Inspired to try vegan this year? My plant-based vegan diet has brought me so much happiness, peace and wellness in my life. So veg-curious people, feel free to browse around and get inspired to try vegan this month and beyond! Another smart move.. start a smoothie habit this year with my book 365 Vegan Smoothies, on Amazon! 15 Healthy Treats to Keep You on Track! 1. 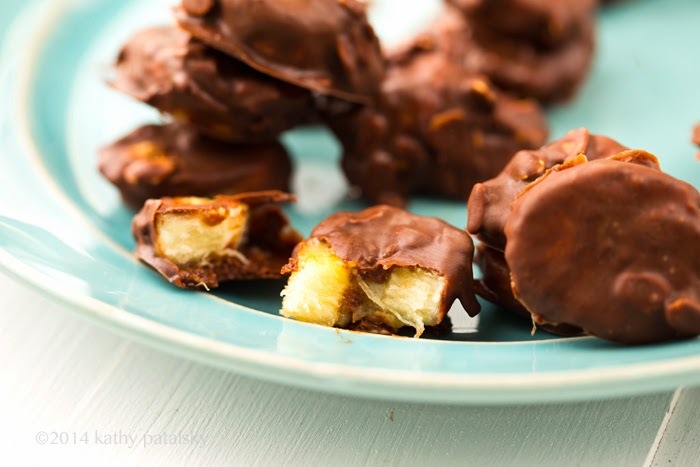 Chocolate-Peanut Butter Banana Bites (recipe at bottom of post) - grab one or a few from the freezer to stomp out a sweet tooth. 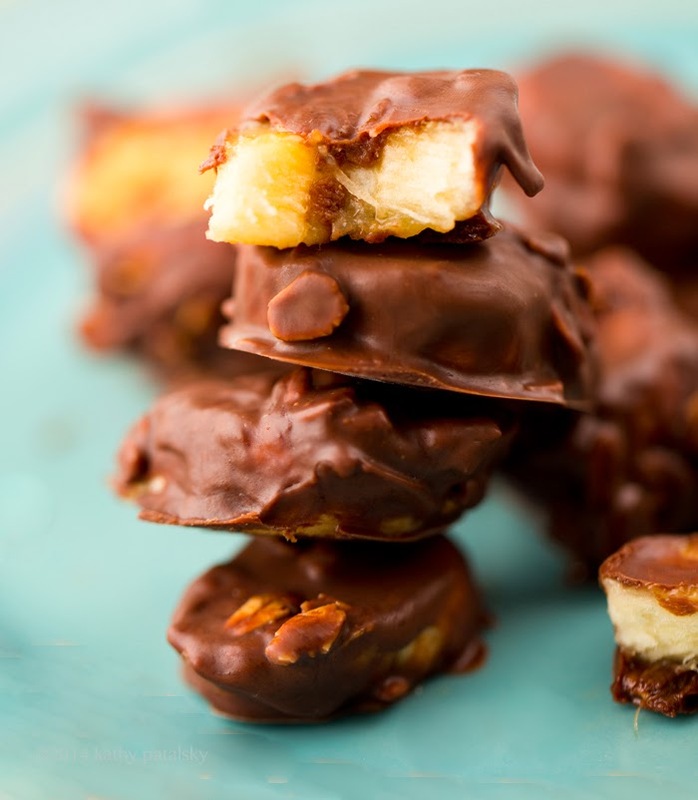 Healthy banana, dark chocolate and coconut oil keeps you on track! 2. Secret Ingredient Vanilla Shake - one of my favorite super healthy shake recipes. 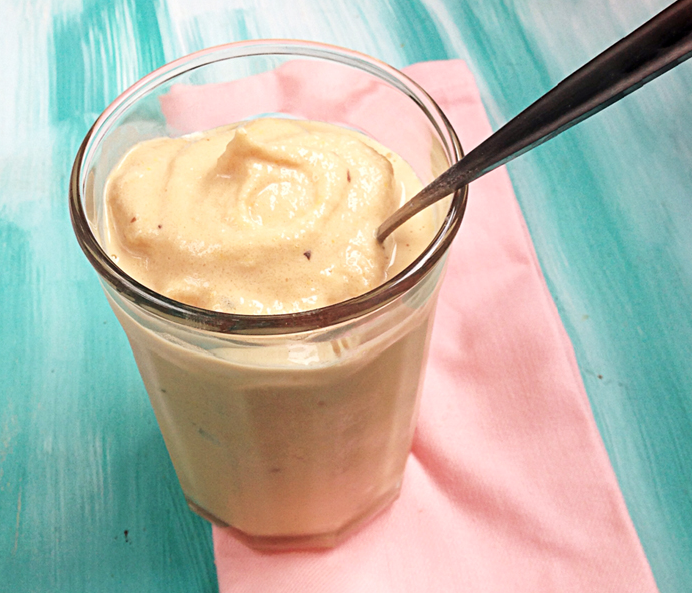 Vanilla ice cream flavor and texture - without the guilt .. or dairy! 3. Sweet Citrus Avocado Dreamboat - yup, a green smoothie packed with sweet fruit flavors like citrus, grapes, pear, apple, banana, mango, pineapple, kiwi and more is a GREAT way to satisfy a sweet tooth while sipping on some serious superfood! Talk about a guilt-free treat! 4. 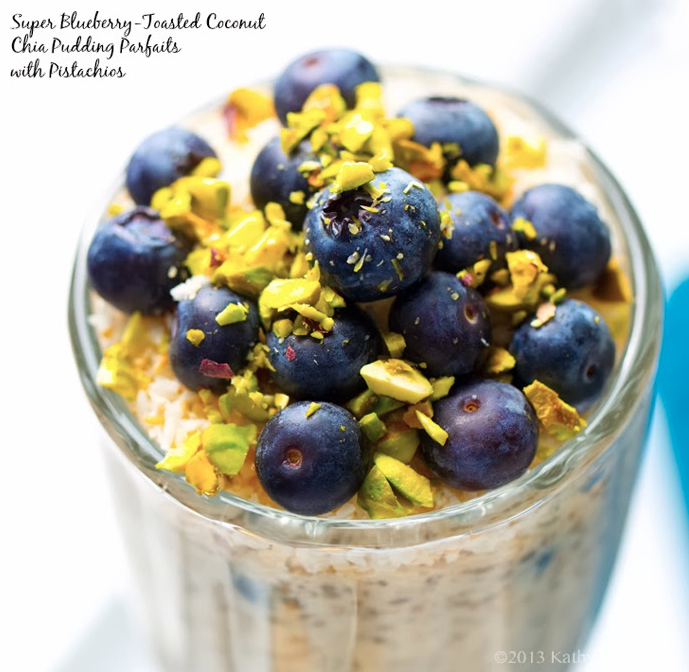 Fresh Blueberry Toasted Coconut Chia Seed Pudding - omega-3 fatty acid-rich chia seeds make the most delicious pudding ever. Add some fresh fruit for a bonus healthy treat boost. 5. 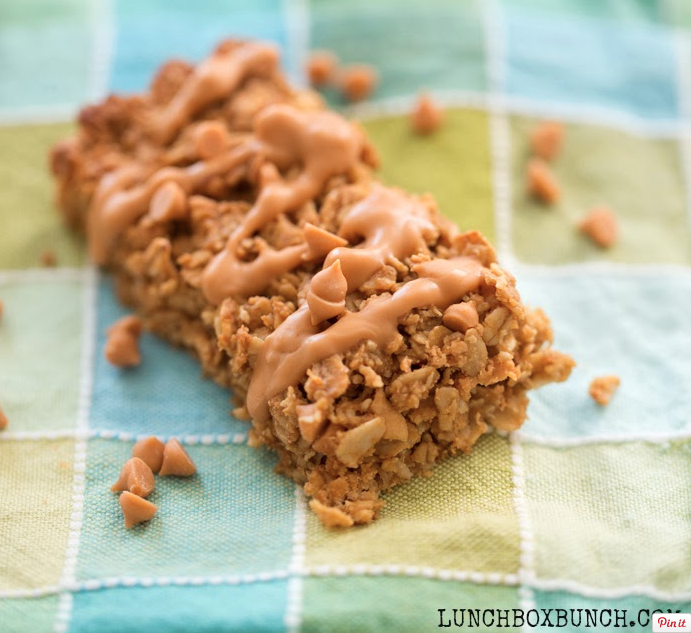 Chewy Peanut Butter Oat Granola Bars - grabbing a sweet and crunchy granola bar is a great way to energize your body and beat a sweet tooth craving. 6. 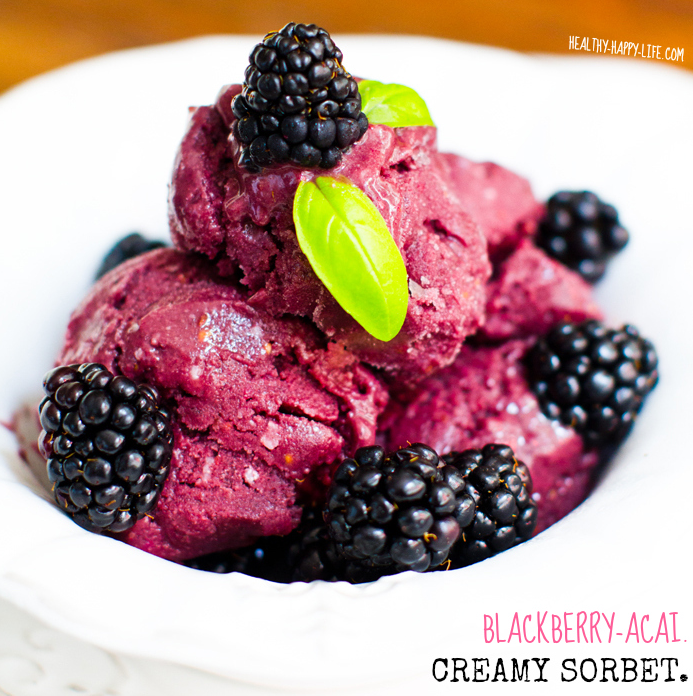 Blackberry Acai Sorbet - creamy, frosty and packed with healthy antioxidants, this cool treat is one to try! 7. Chocolate Coconut Oil Spread for toast - chocolate craving? 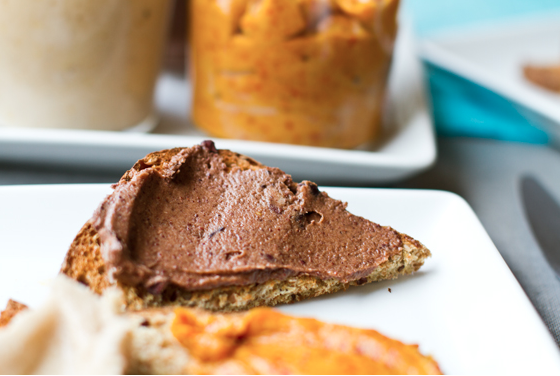 Toast some bread and slather on a spoonful of this luscious, healthy chocolate spread! Craving satisfied. 8. 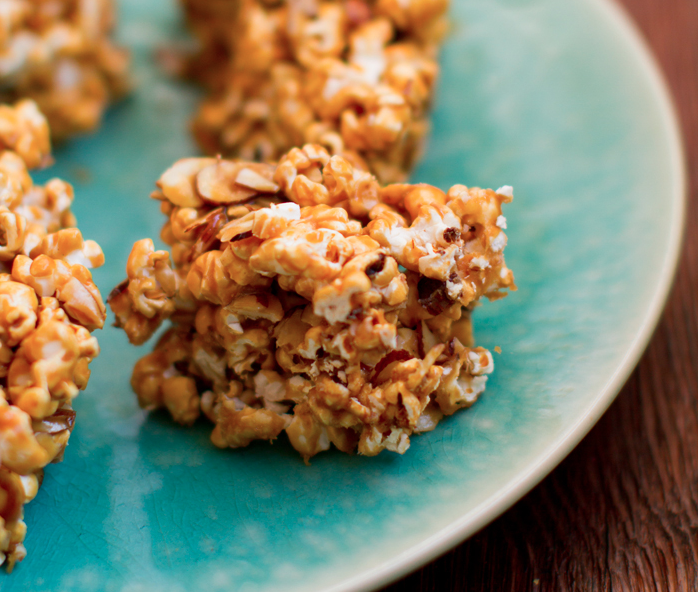 Golden Caramel Coconut Popcorn Bites - these crunchy golden popcorn bites are a fun sweet treat when you crave a sweet crunch. Popcorn keeps these flavors light and crunchy. 9. 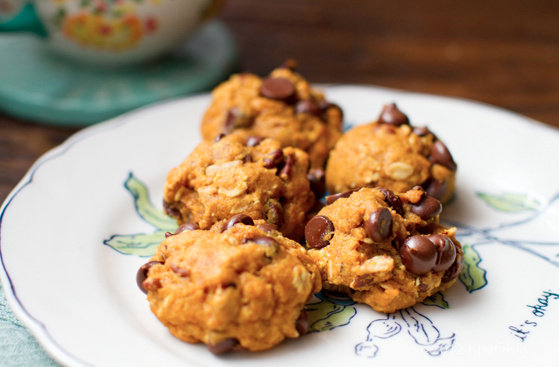 Oat-Chocolate Chip Pumpkin Cookies - when you simply need to have a cookie, grab one of these mini pumpkin cookies. Small and sweet with chocolate chips in every nibble. Just one should do the trick. 10. 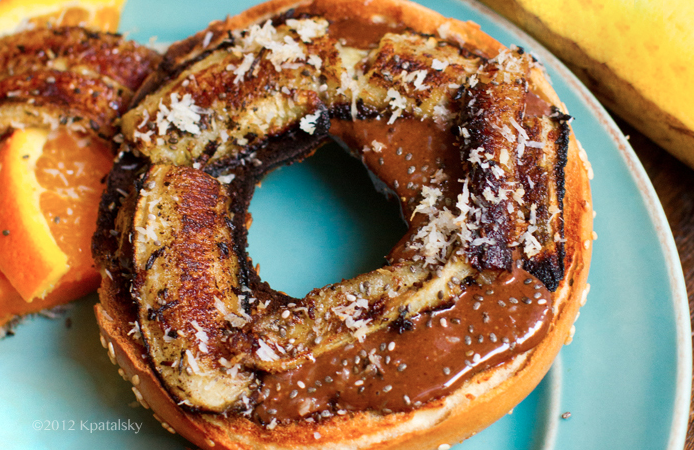 Grilled Banana + Chocolate Almond Butter Bagels or toast -- a healthy banana can easily transform into a dessert-approved treat simply by grilling it in a hot skillet! Layer it over top chocolate almond butter and toast for a yummy snack that satisfies. 11. Easy Peanut Butter Pudding - easy and delish. 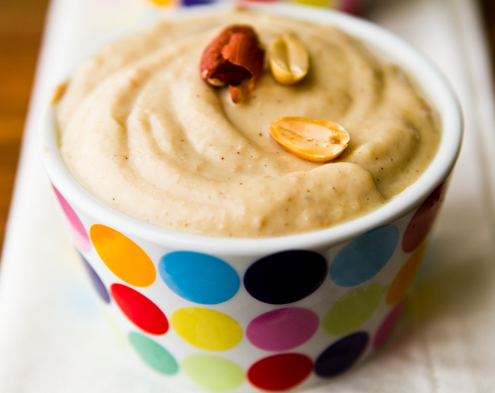 This protein-packed, five ingredient pudding is a favorite in our house! 12. 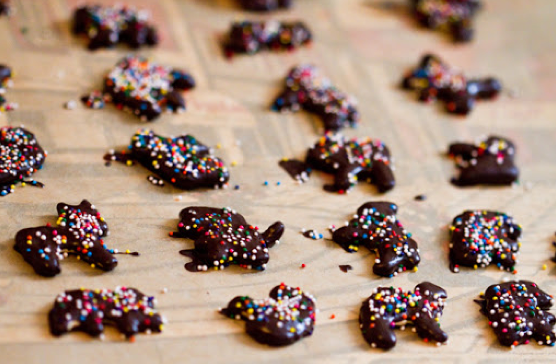 Chocolate-Covered Animal Crackers - these light and fun little crackers are easy to make. 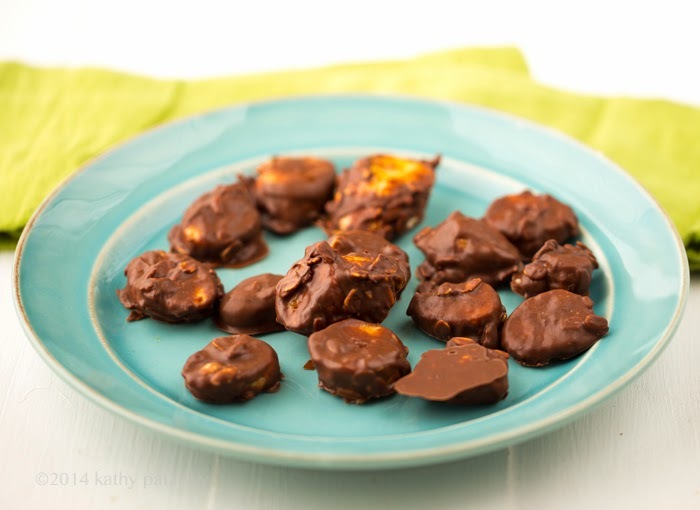 Store them in the fridge or freezer and grab one or two when a craving hits. 13. Peanut Butter Cacao-Coconut Oil Superfood Fudge Bars - Just a tiny cube of this coconut oil fudge should satisfy a sweet craving. Hemp seeds add some superfood power! 14. 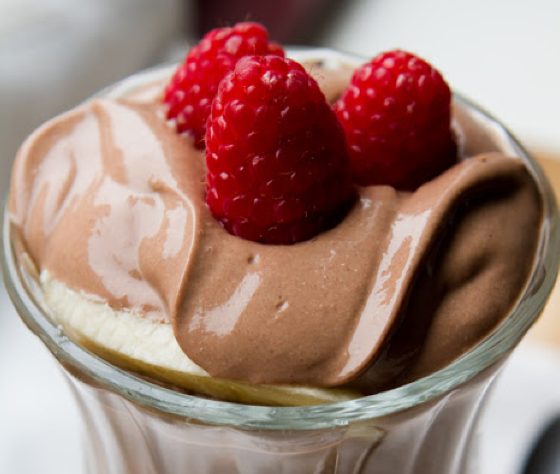 Easy Silky Chocolate Pudding - silky chocolate pudding, guilt free! So healthy, you could eat it for breakfast. 15. 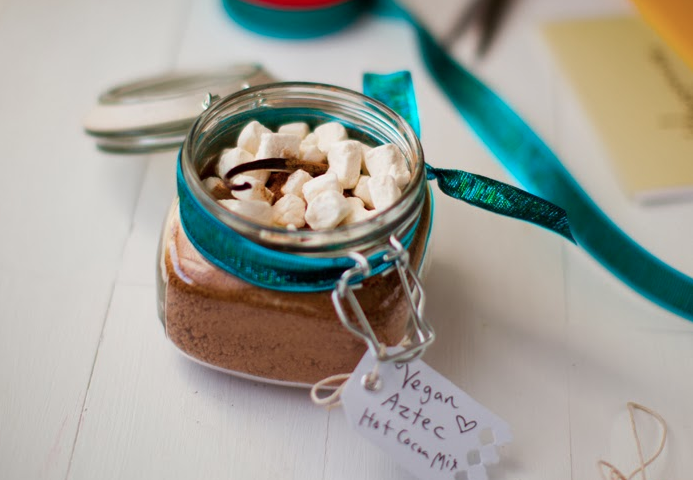 Vegan Aztec Hot Cocoa - cocoa to the rescue! The go-to wintertime sweet treat savior. Go light on the soy whip to keep things lower in calories. 1. Slice your banana and place them on a plate in the freezer while you melt your chocolate. 2. Add the peanut butter, coconut oil, chocolate chips to a small bowl and microwave for fifteen seconds. Stir briskly, then microwave for another fifteen seconds. Stir briskly again. If after a minute of stirring there are still chocolate chip clumps, microwave for ten more seconds. 3. Fold the oats into the chocolate dip. 4. Lay some parchment paper on a baking sheet. 5. 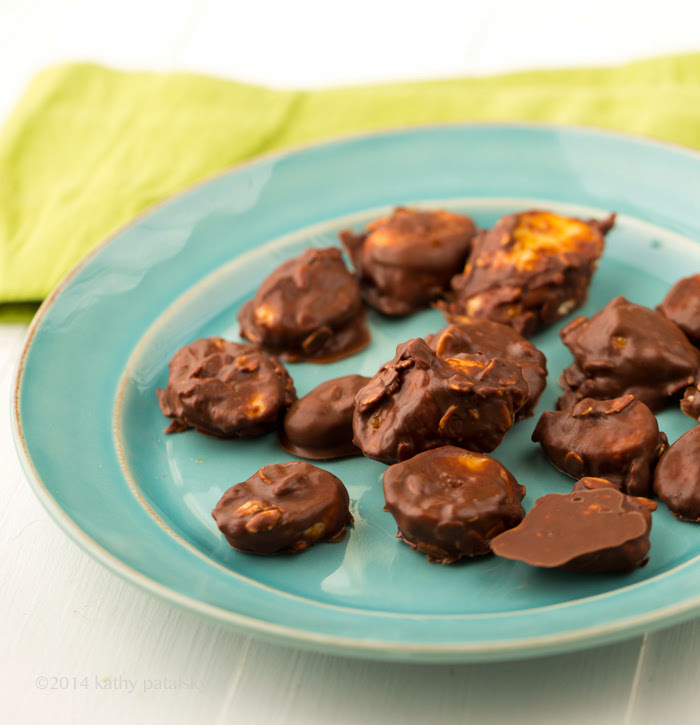 Pull the bananas from the freezer and roll them one at a time in the chocolate dip, coating all sides. Then lay flat on the parchment paper. Continue until all the bites are covered. 6. Place bites in the freezer to fully chill, store in freezer, and eat within a few days for best flavor. Bonus game. 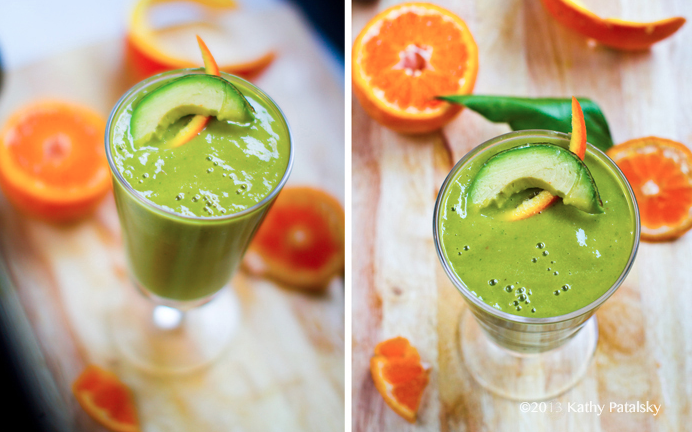 Two more from my personal collection of sweet smoothie favorites.. turmeric and matcha! Matcha green tea powder is such a Zen-ergizing ingredient, when blended into a creamy, frosty sweet shake it provides a sweet and cravable pick-me-up. 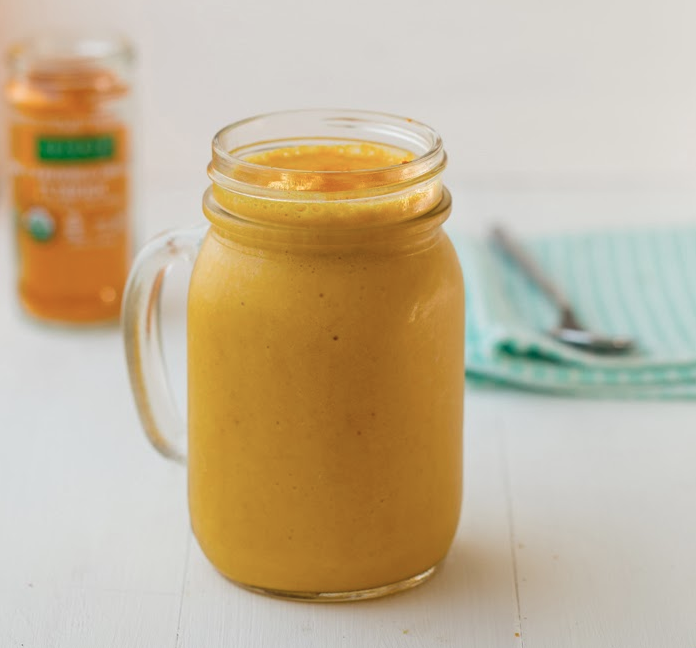 And my turmeric golden wellness shake is sweet and sassy, I LOVE it. 16. Secret Ingredient Matcha Shake - I often enjoy a matcha shake for lunch or breakfast, but it is so sweet and lovely it could easily be a sweet tooth break in your afternoon. Golden Wellness Turmeric Shake - frosty and sweet with a spiced flavor you have to taste to understand. Turmeric is a superfood spice to add to your diet in 2014.